If you are into zero waste then this set of 5 re-usable Bamboo Fleece and Cotton Face rounds are for you. 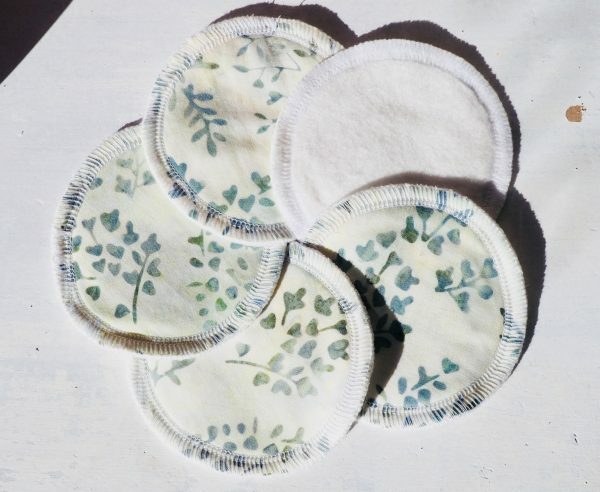 They are a great way of eliminating disposable cotton balls and face wipes from your home! They are made from 2 layers of bamboo fleece with a pretty cotton overlay. Bamboo is hyper-allergenic and SUPER SOFT, which is great for sensitive skin.